Usenix Enigma HTML5 is a boon for unscrupulous web advertising networks, which can use the markup language's features to build up detailed fingerprints of individual netizens without their knowledge or consent. In a presentation at Usenix's Enigma 2018 conference in California this week, Arvind Narayanan, an assistant professor of computer science at Princeton, showed how some of the advanced features of HTML5 – such as audio playback – can be used to identify individual browser types and follow them around online to get an idea of what they're into. For example, different browsers process sound files in slightly different ways, and allowing an ad network – or any website – to potentially work out which version of a browser is being used on which operating system. Couple this with other details – such as the battery level and WebRTC – and you can start to form a fingerprint for an individual user. Narayanan and his team have been monitoring the behavior of ad trackers for years. 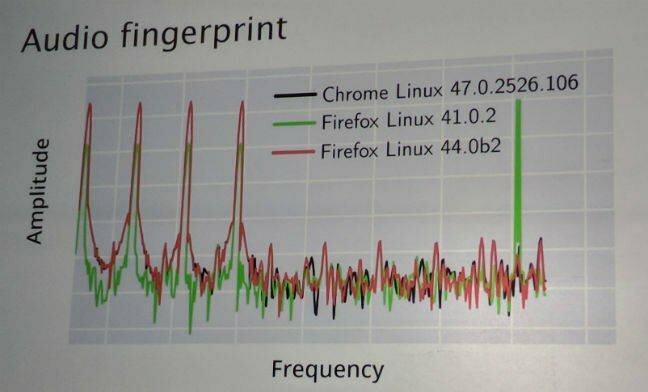 In 2014, they discovered 5,000 of the world's top 100,000 most-visited websites were, in one way or another, using a canvas fingerprinting technique to identify and follow netizens around the internet, as they moved from page to page, site to site, without their knowledge. Further research last year found that ad networks were using session replay scripts, which he described as “analytics on steroids,” to stalk people online. Narayanan said he and his team found ad trackers on 8,000 websites leaking visitors' information in this way – including code on the website of American pharmacy chain Walgreens, which apparently handed confidential patient records to advertisers via forms, as well as the Gradescope assignment-grading software used by Princeton. But this scrutiny only works up to a point, he warned. Netizen-tracking firms aren’t going to stop following people around the 'net and working out what interests them so they can be served targeted adverts and special offers. Narayanan was one of the team overseeing the now-imploded Do Not Track browser feature, and the ad industry was adamant: if 15 per cent or more of internet users turned tracking off, the banner networks would refuse to play ball and track them anyway. Technical workarounds by ad blockers, such as Privacy Badger and Ghostery, are of some use, he said. But they are usually playing catch up with ad trackers, not blocking them from the start. The only way this is going to stop is if web browser programmers step up and build in measures to curb the ability to stalk users. But Narayanan said browser makers don’t want to get involved. There have been some encouraging moves. The Brave browser has been developed specifically to neuter naughty advertising trackers, and both Firefox and Safari are making more of an effort in this area, he said. Chrome is also, we note, making noises in that direction. But what’s needed is a fundamental rethink, with features that ensure tracking-free browsing, just as private browsing doesn’t record session data on a local workstation. Some kind of warning, similar to the HTTPS icon, would also be useful.